2008 has been a bleak year for piracy. The figures of the annual report we have released surpass all figures for hijacked vessels and hostages taken recorded by the International Maritime Bureau (IMB) Piracy Reporting Centre (PRC) since it began its worldwide reporting function in 1992. In 2008 there was a total of 293 incidents of piracy against ships worldwide, showing an increase of more than 11% from 2007 when 263 incidents were reported. In 2008, 49 vessels were hijacked, 889 crewmembers were taken hostage and a further 46 vessels reported being fired upon. A total, of 32 crewmembers were injured, 11 were killed, 21 went missing and are presumed dead. Guns were used in 139 incidents (in 2007 they were just 72). The increase is attributed to the number of attacks in the Gulf of Aden, with 111 incidents reported on the east coast of Somalia and in the Gulf of Aden. The rise peaked in September, when 19 attacks were reported. In October and November, respectively 15 and 16 vessels were attacked. This represents an increase of nearly 200% from 2007. In addition, in 2008 Somali pirates hijacked their largest tanker ever, and successful attacks were carried out at greater distances from land than in previous years. All types of vessels with varying freeboards and speeds were targeted; nevertheless, it is the slow vessels with low freeboards that are particularly vulnerable. The pirates boarding the vessels were also better armed than in previous years and more prepared to assault and injure the crew. Incidents involving guns nearly doubled from 72 in 2007 to 139 last year. However, there are encouraging signs in recent efforts to tackle Somali piracy. Incidents involving guns nearly doubled from 72 in 2007 to 139 last year.However, there are encouraging signs in recent efforts to tackle Somali piracy. 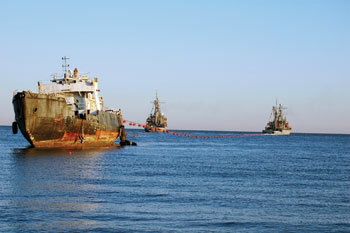 In October and November 2008 the ratio of hijacked vessels to number of attacks was one in three. In December 2008, after UNSCR 1851 was passed, the EUNAVFOR’s MSCHOA was set up, the group transits began operating, and this ratio decreased to one in five. Since the beginning of 2009, the ratio is one in eight. What this means is that the attacks against vessels are continuing, but the successful hijackings have diminished. This is attributable to the efforts of the Masters of vessels manoeuvring more aggressively than previously to prevent allowing pirate craft to draw up alongside. The most important reason, however, is the effort of the navies to robustly act against the pirates and their mother vessels. Forty-nine pirates have been seized and handed over to Kenya and Yemen for prosecution by naval vessels. International navies are the only ones capable of effective response against piracy and can help to ensure the safety and security of this major maritime trade route. It is vital that the governments with naval units in the area look upon this commitment as a long-term one, until the coastal states of the region are able to respond meaningfully. The worst possible outcome would be if the naval units were withdrawn prematurely. If that happened, Somali pirates would be back in business within weeks. In 2008, Nigeria ranked second with 40 documented incidents including 27 vessels boarded, five hijacked and 39 crewmembers kidnapped. The IMB is also aware of approximately 100 further unconfirmed incidents that have occurred in Nigeria. Under-reporting from vessels involved in incidents in the Nigerian waters remains a great concern. The main difference between the East and West African pirate activities is that almost all the incidents in Nigeria are conducted within its territorial waters, whereas most of the incidents along the East coast of Africa and the Gulf of Aden occur out in high seas. On the positive side, there have been declines in other regions. Indonesia should be applauded for its sustained efforts in curbing piracy and armed robbery in its waters. Compared to 2003, when 121 attacks were reported, there has been a continued year-on-year decline with 28 incidents reported in 2008, the majority of which were opportunistic, low-level attacks. The Malacca Strait has also seen a reduction in the number of incidents reported, only two in 2008 compared to seven in 2007. Farther south, the Singapore Strait saw a slight rise in incidents, going rising from three to six. This welcomed reduction has been the result of increased vigilance and patrolling by the littoral states, particularly Malaysia and Indonesia and the continued precautionary measures on board ships. Bangladesh (Chittagong) and Tanzania (Dar es Salaam) have had similar low-level attacks aimed at vessels at anchor and those approaching the anchorage. Robbers in Chittagong mainly steal ship stores while in Dar es Salaam the cargo on container ships is the target. Of the 14 vessels attacked in Dar es Salaam, 12 were container ships. Bangladesh has shown a slight increase in the number of attacks (12) compared to last year (10). It has taken the Bangladeshi authorities considerable effort to bring the number of incidents down and this pressure on the robbers should be sustained. The IMB strongly urges all shipmasters and owners to report all incidents of actual and attempted piracy and armed robbery to our Piracy Reporting Centre. This is the first step in the response chain and it is vital in ensuring that adequate resources are allocated by governments to deal with the problem. A set of transparent statistics from an independent, non-political, international organization such as the IMB PRC acts as an effective catalyst to achieve this goal. In an effort to counter Piracy in the Gulf of Aden and off the east coast of Somalia, industry bodies including the IMB have published the Best Management Practice (BMP) guidelines. The recommendations included in these guidelines can prevent attacks. It is envisaged that this will be a live document amended as new information regarding the modus operandi of attacks comes to light. Early detection of pirate crafts will give vessels a better chance to evade the attacks. It will also help naval vessels to respond meaningfully to these attempted attacks and gain vital intelligence regarding the location of pirate mother ships. Action against mother ships is the tactical response. It helps prevent future attacks and imposes a cost and risk upon the pirate gangs engaging in this activity. 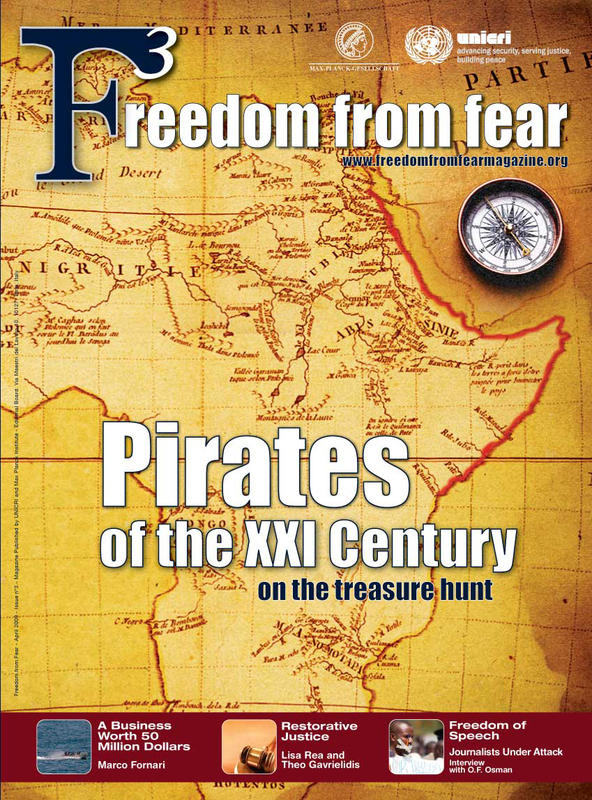 With the world economy in its present uncertain condition, there is a possibility of piracy increasing in some areas. Additional costs incurred by ships deviating to avoid piracy is a further burden upon consumers. The attacks against ships must be brought under control; governments and industries have a key role to play in this respect. The IMB is part of the ICC Commercial Crime Services, which is a specialised division of the International Chamber of Commerce, the world business organisation. *Captain Pottengal Mukundan is Director of the International Maritime Bureau.